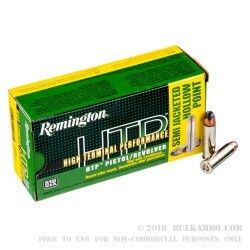 Remington’s High Terminal Performance (HTP) line of ammunition combines the old American company’s best primers, brass casings, and clean burning propellants to provide shooters with confidence in their firearm’s stopping power. 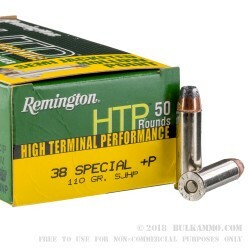 This 38 Speciall +P cartridge from the HTP line features a 110 grain semi-jacketed hollow point bullet. 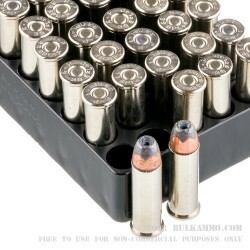 The partial nature of the jacket provides a lot of performance benefits, including permitting the hollow pointed bullet to penetrate a target but without overly hampering its expansive capability. 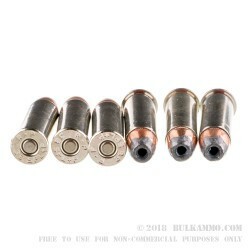 It further protects your bore against lead fouling, a feature you’re certain to look forward to if you’re planning on passing 500 of these bullets through your barrel.